So…your kids love pizza? Mine too! These are an upgrade from your usual mini pizza bases. And they are easy to make and gluten free. 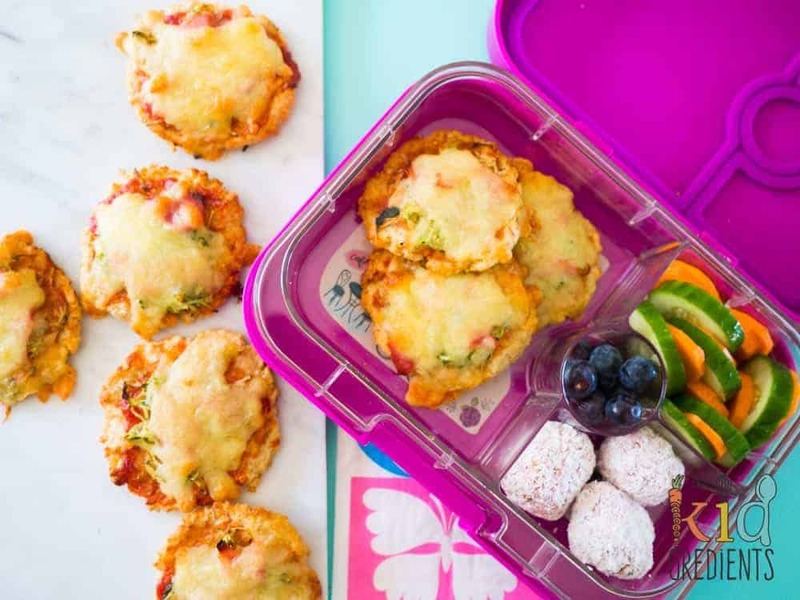 The brown rice mini pizzas also freeze well so they are perfect for back to school! Top them how you like, knowing that the base is super healthy. I know how hard it is when you want t gluten free pizza base, because they often aren’t right, or they just taste funny, or they cost a gazillion $$ to make. Not this one! Plus the benefit of this one: you can double or triple the recipe to make as many mini pizzas as you want. 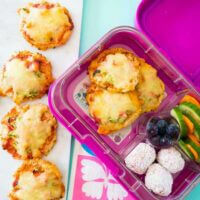 Mini pizzas are an awesome item for the lunchbox and these ones come with a no sog guarantee. A what? 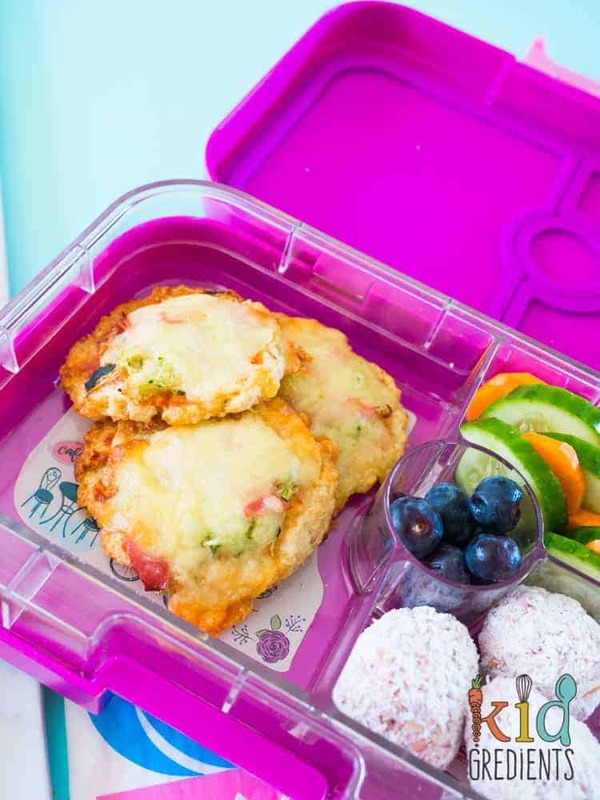 Well, because the base is cooked separately won’t go soggy when you put it in the lunchbox. Just make sure they are cold when you put them in, so make them in advance. I used leftover rice from dinner the night before and that means the rice is cold and ready to use when you need to make the bases, because warm rice will cook the egg and melt the cheese! Using a food processor makes these super easy to mix, and make sure you use wet hands to get them into shape. It’s a really important step! So wet those hand please. Otherwise you will find the dough really unmanageable. 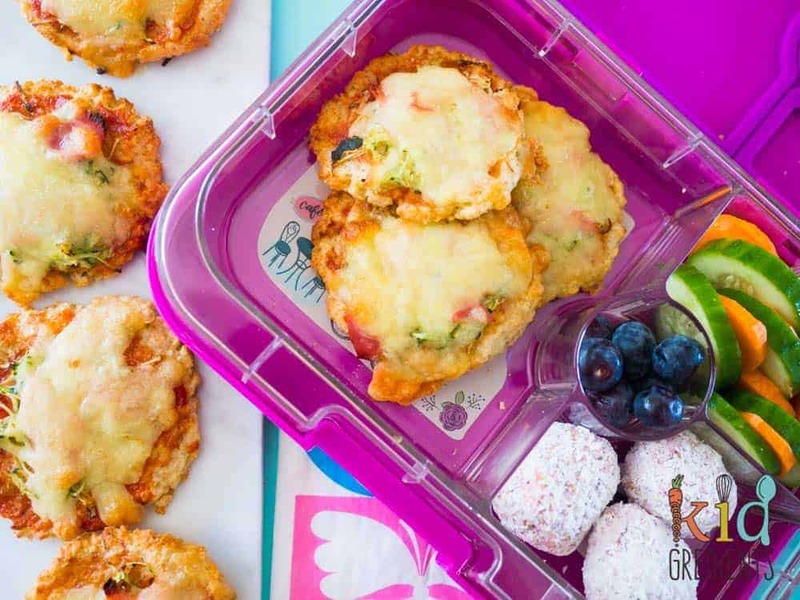 We put zucchini, ham and cheese on these! Like the lunchbox this one is in? It’s a yumbox panino! You can purchase it here. Need ideas for brown rice mini pizza toppings? 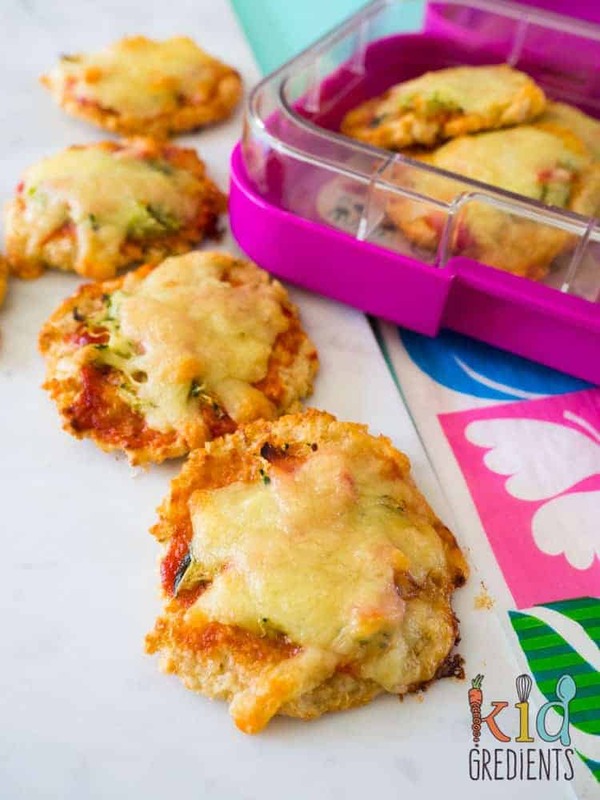 These mini pizza bases are gluten free, easy to make and super easy to freeze. Combine the brown rice, cheese, egg and rice flour in a food processor and process until it forms a sticky dough. With wet hand roll tablespoon fulls of the mixture into balls, then flatten onto a lined baking tray. Remove from the oven and top with your favourite toppings. Bake for 10 minutes or until the cheese is golden. Eat hot straight away or chill for the lunchbox. Freeze once cooked, either before or after topping. Nutritional information is for the bases only and is calculated using an online calculator. For more specific dietary information please see a dietitian. Previous Post: « Healthy banana oat mini loaves, no added sugar. 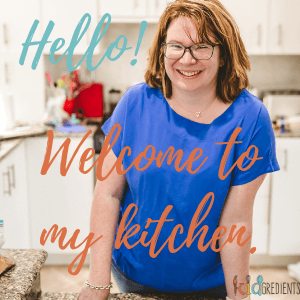 what can we use instead of rice flour please? You could use normal flour but then they will not be gluten free. Thank you for this recipe! Made it tonight and I’m in love! !